AMERICAN Jews typically associate Shavuot with the Book of Ruth, late-night Torah study sessions and eating at least one generous helping of cheesecake. No matter where you reside, were fairly certain you wont find Jews dancing in wheat fields, escorting tractors like royalty or making mountains out of hay. But for Israelis who glimpsed their first sunrise on a moshav or currently toil on kibbutzim, this pilgrimage holiday and harvest celebration tops the list in terms of cherished memory and present joy. 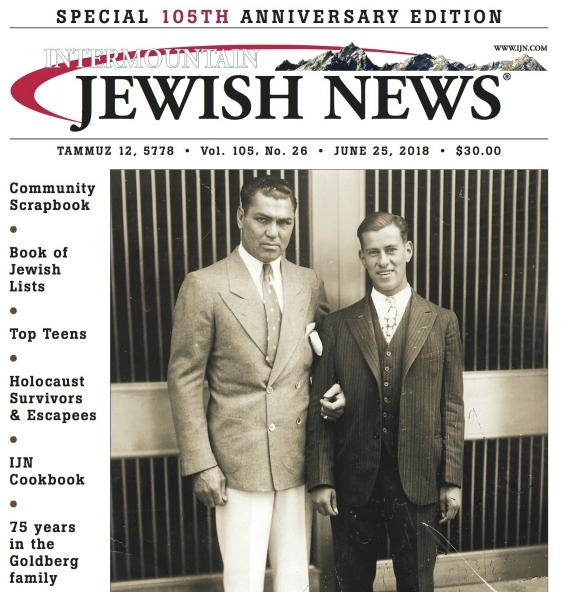 For Michal Peleg-Uziyahu, Denvers shlichah, the very mention of Shavuot evokes a burbling stream of recollections. Shavuot is my favorite holiday, she says excitedly. I grew up on a moshav that was completely secular. Our celebrations always emphasized the agricultural component. Everyone went out to the fields and decorated the tractors. We all wore white, which made us feel holy and pure, like we do on Shabbat. Children born over the past year are brought before the assembled and blessed. And we have the best food: all kinds of cheeses and wines. In Ramat Negev, Allied Jewish Federations partnership city, boutique dairies produce delectable cheeses from goats milk, enticing urban tourists to swell the rural streets. While todays secular kibbutzim stress agriculture and there are Orthodox kibbutzim that embrace the religious, she feels both elements are represented. This year, Peleg-Uziyahu is traveling to Israel with her family for Shavuot. SHAVUOT may be one of the least understood holidays on the American Jewish calendar. Even though it commemorates the most wondrous day in Jewish history  the giving of the Torah on Mount Sinai  for many it has the weight of a footnote.  Celebrate the Feast of Weeks with the first fruits of the wheat harvest, and the Feast of Ingathering at the turn of the year (Exodus 34:22).  Then celebrate the Feast of Weeks to the L-rd your G-d by giving a freewill offering in proportion to the blessings the L-rd your G-d has given you (Deuteronomy 16:10).  Celebrate the Feast of the Harvest with the first fruits of the crops you sow in your field. Celebrate the Feast of Ingathering at the end of the year, when you gather in your crops from the field (Exodus 23:16).  On the day of first fruits, when you present to the L-rd an offering of new grain during the Feast of Weeks, hold a sacred assembly and do no regular work (Numbers 28:26). While the Torah does not decree any special mitzvot regarding Shavuot except refraining from work, it is customary to hold special prayer services and holiday meals consisting mostly of dairy products. The Israelites gradually saw G-ds gift in the laws of the harvest as much as in the harvest itself, and those laws come from the Torah. The agricultural focus took a back seat to the divine revelation, and Shavout evolved into the season of the Giving of the Torah. Also, as life in the big city gradually replaced rural existence, the agricultural aspect waned. Kibbutzniks are 21st-century men and women who choose to dwell in an agrarian society. They are blessed with empirical wisdom derived from direct and daily contact with the land. For them, agriculture is a basic tenet of existence  and Shavuot is the crown. EYTAN Peer has lived at Kibbutz Sde Boker (Ben-Gurions former kibbutz) since 1979. A soldier in the IDF, he wanted to extend his army service with his friends. Working on a kibbutz seemed like the best solution. Now a theater director and producer, Peer is also Kibbutz Sde Bokers secretary. He left the kibbutz twice: first to serve as shaliach in Perth, Australia, and then as a representative of the kibbutz movement in New York for three years. In the 1980s, with the ascendancy of the right wing, kibbutzim throughout Israel lost their government subsidies. For more than two decades, Kibbutz Sde Boker focused on developing new machines, techniques and technology to assist farmers throughout the world  and stay alive. Recently we started making olives for olive oil, he says. We are doing good. From harvesting the first fruits to the gift of the Torah, Sde Boker incorporates all elements of Shavuot. But the emphasis is predominantly agricultural. The kibbutz celebrates the first fruits, or bikkurim, by arranging the colorful bounty in baskets and placing them in front of the stage. In a similar vein, parents bring babies born in the last year to the stage. And each kid gets a special song, Peer says. The head of the kibbutz reads a financial statement and lists various accomplishments. Several kibbutzim attract tourists from outlying cities on Shavuot. Peer mentions White Night in Tel Aviv, a popular way for secular Jews to study Torah and other topics. The restaurants and cafés are open all night. YIZHAK Yablonski, 32, who is trying to calm one of his four children after a busy day, moved to Kibbutz Alumim last summer after serving as an emissary in Allentown, Pa. The Orthodox kibbutz, which operates a guesthouse for tourists, is about four kilometers from Gaza. Maybe this makes your story more interesting, he laughs before conveying an urgent message in Hebrew to a noisy child. Still, there are more similarities than disparities. Its really a matter of degree. The children at Alumim study Torah throughout the night and enjoy a festive dairy meal the following day. Wearing white, while not imperative, is the preferred color. We only wear fancy clothing, because this is a holiday, says the former teacher who is now second in charge of wheat, peanuts and sweet potatoes. Preparation, it seems, is not limited to the religious. You can hear Yablonskis love of the land in his voice. Four days ago we started cutting the wheat. It was wonderful watching the tractors work in the fields. That said, Yablonski devotes the rest of his comments to G-d and the Torah. In the Torah, we are commanded to take an amount of new wheat to the Temple and sacrifice it to ?G-d. Shavuot was originally about the harvest and bringing it to G-d.
His explanation of the tradition of studying Torah late into the night is half midrash, half common sense. Life on a kibbutz has also taught Yablonski that Jews who learn to regard each other in a spirit of equality embody G-ds true intention. This is the point about Shavuot, he says. When the children of Israel got the Torah, they were united in one heart, one body. The nation of Israel must stand together as a nation. It doesnt matter if youre Orthodox, secular, man or woman.